The United States has decided not to send warships or senior military officers to celebrations marking the 70th anniversary of the founding of China’s People’s Liberation Army Navy later this month, a snub by Washington even as U.S. allies Japan and South Korea are expected to send their own vessels and officials. If a rival is weaponizing ceremonial events like this, then the only option is to not play. This decision came a few weeks after I published this piece over at Forbes, detailing how these largely ceremonial events were becoming a new axis of maritime competition. Also, I presume this refusal to show up for the party is something of an indication that the China-U.S. trade talks are not going well. Ideally, the U.S. Navy would have some sort of specialized ceremonial platform–a training squadron, Presidential Yacht or floating embassy available to handle these things. A non-military option might be useful to subtly shift the axis of competition away from military pageantry (where the visitor is always gonna be handicapped) to some sort of governmental systems-based challenge that make regimes a tad nervous. Another option would be to encourage friends to not show at all, but, aside from the fact that a refusal by the locals to attend would be entirely unsporting, America lacks the diplomatic power to pull off such a thing against China. 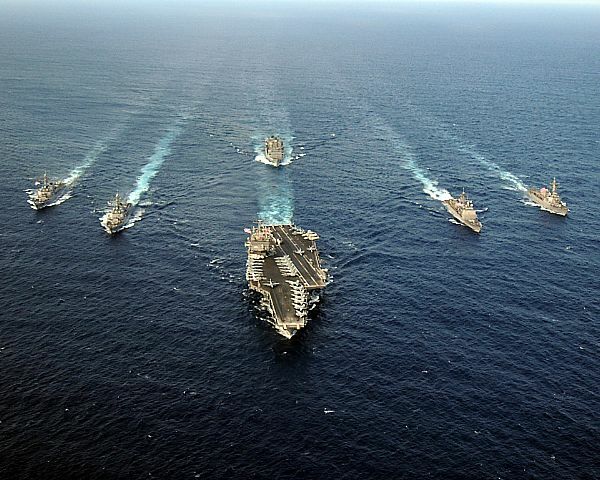 Navies are proliferating, and, these days, every tin pot country has Blue Water pretentions of their own, and, well, if a big power pays handsomely to incentivize showing up, even the smallest of navies are gonna, well, “Navy” their way to the party. Certainly a few nicely-placed Op-eds recalling old Chinese habits of requiring regular tributes to the emperor might be an interesting touch (What happens on the Yellow River stays on the Yellow River, I suppose), but, I doubt the U.S. has developed substantial capability to shape news coverage/elite discussions in some of the small countries within China’s growing sphere of interest. Finally, another option is to do something to completely put China off-kilter, feeding it’s worst instincts or otherwise helping the country’s well-calibrated and friendly veneer slip a little bit in public. These could range from recognizing Taiwan (!!) to coordinating the seizure of illegally-operating Chinese fishing-boats, grabbing Chinese-flagged ships involved in illegally supporting North Korea, or…conducting amphibious operations from Vietnam’s Truong Sa airport, at Scarborough Shoal, or the Philippines’ Pag-asa island airstrip in the South China Seas to…oh, releasing a periscope picture of some high-profile Chinese ship someplace. What is the USCG Up To? While the Navy is ignoring the Party, the USCG’s globe-trotting cutter, the Bertholf, joined Navy ships to parade through the Taiwan straits, only to make a quick stop in Hong Kong–the first Coast Guard ship to visit in 17 years. The ship is now operating with the South Korean Coast Guard, and was last reported in Busan. That puts the USCG in an interesting place, capable of proving the U.S. Government options–the Bertholf is well positioned if the Administration decides at the last possible second to either try and join the PLA(N) party or to rain on the PLA(N) parade. I have been remiss, but I have a few posts up at Forbes that may be worth your time. One of them deals with training ships. Go read it! Now, I am convinced that training ships–if they are taken seriously–do work, and I am particularly impressed at how Japan has converted their BIG training fleet into something of a diplomatic asset. With MARAD building their own amphib-like training ships, and the Navy struggling to both developed trained mariners and shed some ancillary missions, my sense is that the Navy would benefit enormously if they joined the MARAD buy and dedicated some Flight IIa DDGs to training. (Smaller ships like an LCS would be nice additions, but, right now, for surface warriors, it’s CRUDES or Amphib world, so new kids should train to that right now.) Little rogue training fleets would be great for presence and low-threat missions. Training ships would do a lot for the surface fleet. First, they would relieve the fleet of a lot of show-and-tell missions. Among other things, the goal of the training fleet staff would be to strengthen the Navy’s logistical knowledge-base for port calls, hopefully easing some of the burden on the battle fleet when they might want to visit, and potentially a good place to append some FAOs for training as well. It would also give newbies a stronger foundation–rather than forcing the battle fleet to spend time always training up new sailors, they’d get folks arriving on the ship who knew how things worked–and worked well. And that, to me, is the most important thing. When talking about the surface fleet, everybody (and I mean everybody) sorta clutches their pearls and bewails the state of the surface fleet culture. But nobody (and I mean nobody) has done much to change things. Seriously, problems with surface fleet culture and training has been a known thing for years, if not decades. 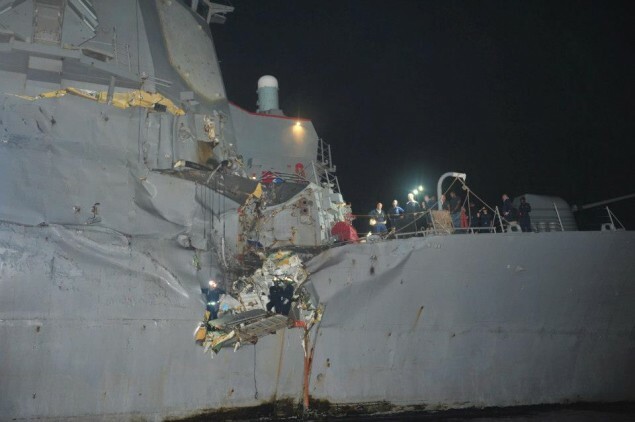 A training fleet would help change this by letting new sailors/officers experience life on an impeccably-maintained, fully functional training ship. That would give sailors an opportunity to experience the way things “should be” before they get shunted off to a broke-down mediocrity or some floating madhouse someplace. Getting started on a platform where order has already broken down just normalizes that standard. If a young officer has never experienced greatness, and know that it can be achieved, that officer will rarely try. Something has to be done. Yes, it costs money and resources, but, you know, crashing ships and fielding non-functional vessels/crews is far more costly. Hopefully the surface fleet has it in them to try to make this happen, and Congress has it in them to support such a proposal.